Spoil yourself at The Chateau at Lake La Quinta with rates exclusively for past guests of Club de Soleil. The Chateau, our all-new partner property, is a relaxing adult sanctuary where you can get away from it all and discover the magic all over again. 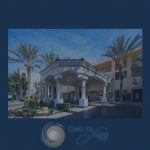 Enjoy the intimate boutique experience you’ve always dreamed of at The Chateau at Lake La Quinta, just 37 miles from Palm Springs in the beautiful Sonoran Desert. Modeled on a European chateau, with rolling lawns, lush gardens and 13 comfortable suites and casitas overlooking tranquil Lake La Quinta, our beautifully refreshed resort recently completed the first phase of a multimillion-dollar expansion and eagerly awaits your arrival. You’ve already experienced the excitement of Las Vegas. Now relax and unwind in luxury at The Chateau at Lake La Quinta. We have everything you need to recharge and reconnect – including special rates exclusively for past Club de Soleil guests. Click on the link below to book your stay. This weekend’s Las Vegas Greek Food Festival offers all the magic of Greece just minutes from Club de Soleil! Celebrate the season with us at Oktoberfeast!